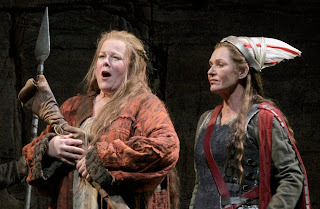 Now it's time to check in with Seattle favorite Margaret Jane Wray, pictured right as Sieglinde, giving the shards of Nothung and the name "Siegfried" to Janice Baird as Brunnhilde (Chris Bennion photo) in last summer's Ring cycle. This summer, Wray sings the role of Brangäne, Isolde's attendant. Welcome back, Margaret! We love hearing you sing, and you seem to like spending your summers in Seattle (Rings in ’00, ’01, ’05, and ’09, Aida in ‘08). If you weren’t in Seattle in the summer, where would you be? You’re right, we have a swimming pool at my house that we haven’t fired up in three years, since I’ve been singing so much in Seattle. If I weren’t here I’d probably want a summer at home—I live in the midwest, near the Twin Cities, in a beautiful town by a river, there’s lots of water sports. Sieglinde and the Third Norn are sopranos, whereas Brangäne and Amneris are often sung by mezzo sopranos. How would you describe your voice? Now, now, just because you’ve got that recording with Christa Ludwig... Wagner listed Brangäne as a soprano part. 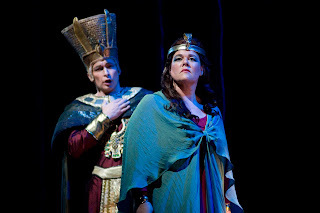 Some mezzos can sing it, just as lots of sopranos sing Amneris, which is listed as a mezzo. Both roles have a huge range. It takes a pretty extraordinary mezzo to sing the fourth act of Aida. These roles are sometimes called ‘zwischenfach’, between the ranges--Kundry, Sieglinde, Brangäne. Even Eboli, in Verdi’s Don Carlos, can be sung by a meaty-voiced soprano. That’s how I’d describe my voice: I’m a meaty-voiced soprano. It’s not so much about range; I’ve sung Chrysothemis, which is a high soprano part, and also the Third Norn, which goes all over the place. 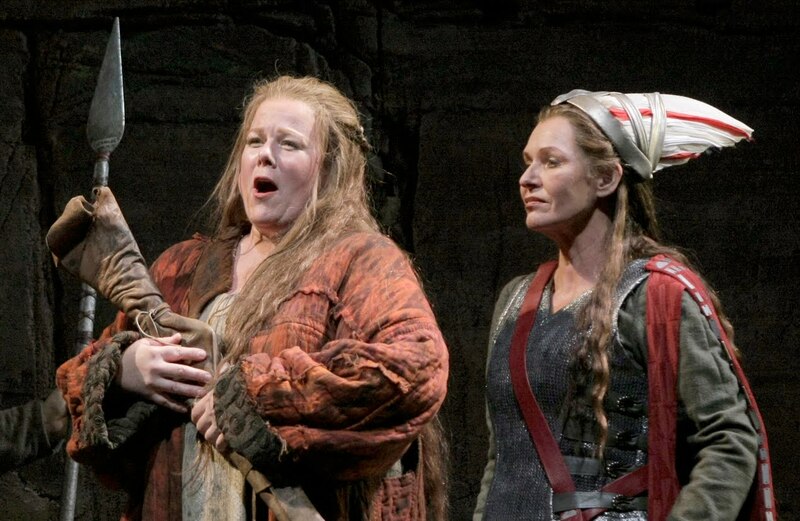 I love singing the Third Norn--especially when Norns #1 and #2 are Luretta Bybee and Stephanie Blythe. Now that’s a fun scene. 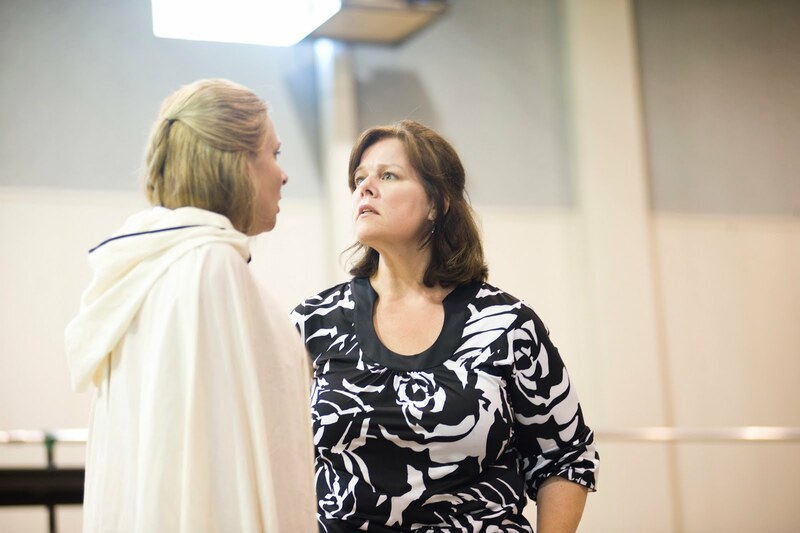 Which is your favorite Wagner role? Right now , working on Tristan, it’s Brangäne. I also really love Sieglinde. Why is Brangäne so devoted to Isolde? Brangäne is devoted to Isolde because she’s her handmaid, that’s her job; her mother was probably handmaiden to Isolde’s mother, the queen, and so forth, that kind of thing. Brangäne and Isolde have to spend a lot of time together, I believe she really loves her. Her entire life is Isolde. It’s not like she’s got a husband and goes home to the kids, you know, her room is probably next to Isolde’s room. What does Brangäne really think about the men in this story--Tristan and Kurwenal? I take Brangäne’s words at face value, when Isolde asks her what she thinks of Tristan--she says Tristan is a great hero, he is THE man. But as for Kurwenal, who has with Tristan kind of a male version of the relationship Brangäne has with Isolde--Brangäne can’t stand him, he’s an [expletive], I think she’d be quite content if he just weren’t there at all. He’s got this sort of macho bravado thing, I’m sure it drives Brangäne crazy. You know, we’re playing it that Isolde and Brangäne are roughly the same age, and part of the job—the handmaid, the slightly lower-class girl whose job is to attend the aristocratic girl--part of what she must do is bodyblock, make sure the men leave the princess alone. Sometimes Brangäne seems devious, as when she substitutes the potion or catches on to Melot’s treachery; at other times, it’s as if she’s simple-minded (or else playing dumb), as when she claims she didn’t understand Tantris was Tristan, or tells Marke about the love potion way too late. Is she clever or foolish (or both)? Is any of the responsibility for this tragedy hers? You can’t really say that it’s Brangäne’s fault. The love potion IS the death potion--they’re the same thing, you see that pretty clearly in our production. It’s like giving someone their first hit of crack--whether that’s this addiction to this terrible relationship, or death itself, once they’ve tasted it they’re never going to get off of it. I don’t think it really matters which potion I give them--they will be destroyed by it, they’re going to die in the end. Your “Habet Acht” in Act Two, which you’re apparently going to be singing from way above the McCaw Hall stage, is one of the most gorgeous things ever written. What are you thinking about when you sing that passage? Yes, it’s beautiful, but the words are in fact a warning--hey, down there, you lovebirds need to finish this up, time to go! In terms of the singing, technically I’m thinking about long beautiful lines, sailing over that gorgeous orchestra. It’s beautiful, such a gift to sing this incredible music. My favorite part of singing this opera. Great interview!!! Except, in the foto of the three Norns, you have two ID'd as "#2"!! MJ Wray is probably #3, however. 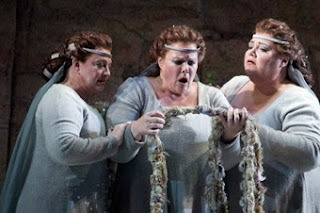 I'm very glad she loves to sing #3 when her colleagues are the other two in the foto -- in Stephen's best-in-the-world staging of "Der Ring des N"!! I was in choir and a couple high school musicals with Jane. She was a hoot, and a fun person to perform with. That lady could sing then and she sure can sing now. I'm glad to seeing her do so well.